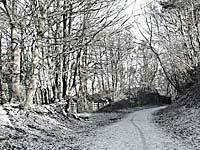 The High Peak Trail follows the route of the former Cromford and High Peak Railway which was opened in 1830 and closed in 1967, connecting High Peak Junction near Cromford to Dowlow near Buxton and joining the Tissington Trail at Parsley Hay. The High Peak Trail is a traffic free trail suitable for walkers, cyclists and horse riders passing through some of Derbyshire’s finest countryside. High Peak Trail is now the start of the Pennine Bridleway with the cycle route starting at Middleton Top and the Horse riding route at Hartington. There are 17.5 miles of traffic free trail for walkers, horse riders and cyclists. Along the Trail old engine houses, sidings, signals and quarries remind us of it's industrial heritage. The trail supports abundant wildlife and where it crosses limestone countryside many wildflowers including cowslips, wild strawberry and thyme flourish. The Trail is provided by the Derbyshire County Council and the Peak District National Park. Situated at the top of Middleton incline is the restored Middleton Top Engine House, Visitor Centre and a Cycle hire Centre. 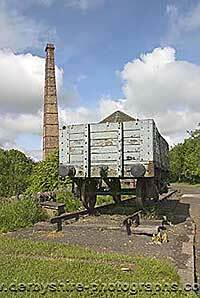 The Butterley Company built this steam winding engine in 1892 to raise and lower wagons on the Middleton Incline. This unique engine can be seen in motion on the first weekend of each summer month and at Bank holidays. The impressive Black Rocks overlook the High Peak Trail at the top of Cromford Hill are popular with climbers and families. The walk up the rocks is rewarded with spectacular views.